Looking For Bag Loads Of Disney? Shop Our Loungefly Collection! We don’t know about you, but spending our Saturdays as a kid on the floor in front of the telly with our favourite Disney films playing from the clunky VHS tape player was pretty much about as special a time as we can remember. Living carefree, singing along to our favourite songs and seemingly never finding any Disney story old or overwatched while rocking our favourite pair of Disney pyjamas… bliss! Now we’re older, maybe sometimes wiser and a whole lot more nostalgic about Disney, we’re sooo happy to have our incredible collection of Disney bags from Loungefly! Packed with charm, details and made with total love, take a peep at our favourite and top selling Loungefly bags and purses we’ve hand-picked for you. Enjoy! Do you love to embrace the darker side of Disney? Or perhaps you think they’re all just a little misunderstood? 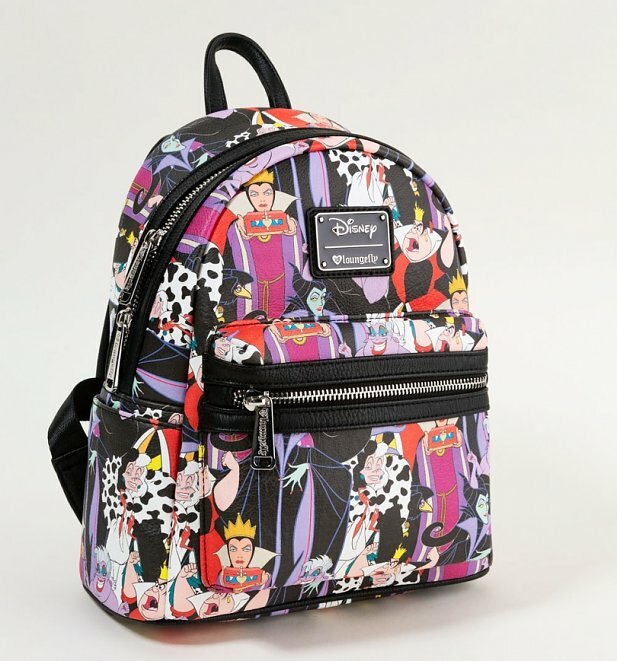 Show your love for the villains we all grew up with thank to our stunning Loungefly x Disney Villains Full Colour Print Mini Backpack! There’s always time for some Mickey, right? 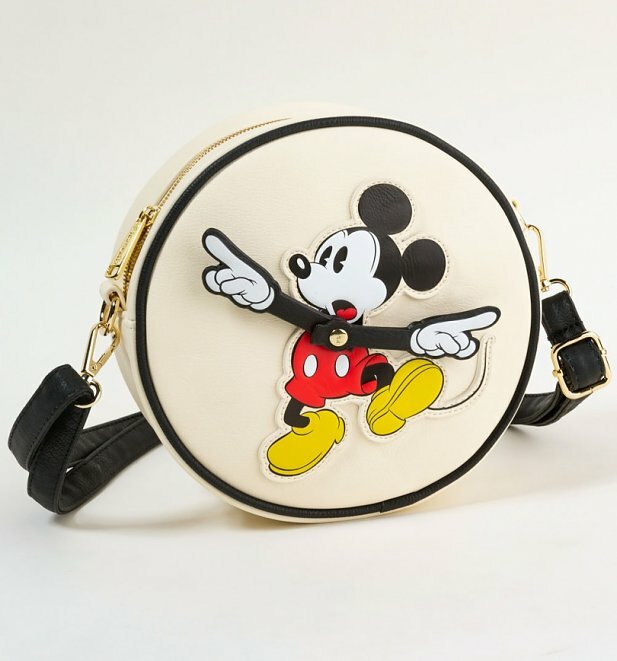 We’d love to say that our Loungefly x Disney Mickey True Original Clock Arms Crossbody Bag is ‘handy’, but that might be a bit too cheesy! 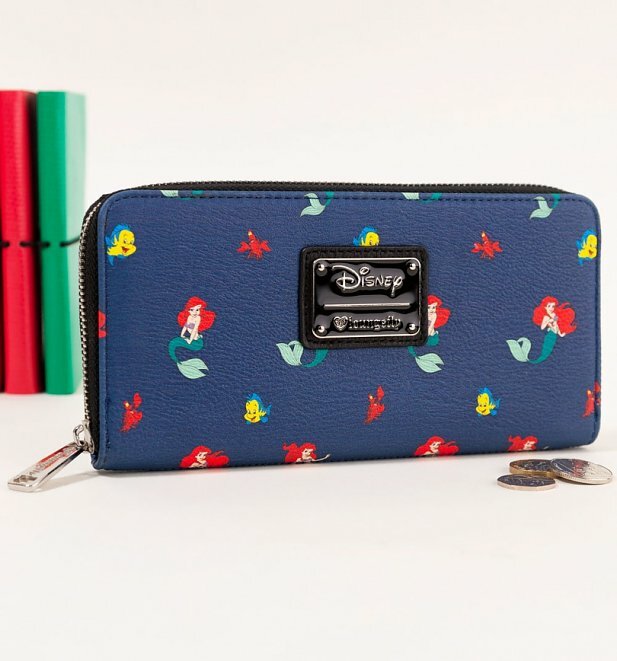 You’ll be swimming in a sea of Disney style with a little help from this Loungefly x Disney Ariel, Flounder and Sebastian Little Mermaid Wallet! Such a subtle and playful nod to this total classic. 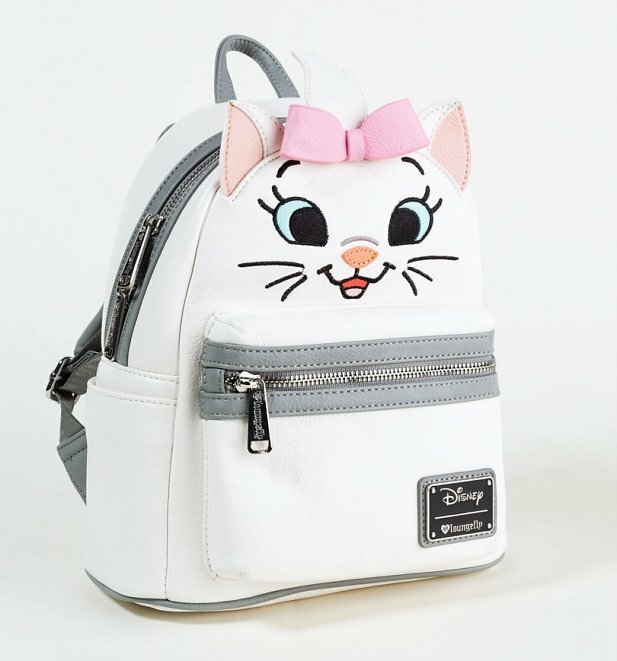 We’ve turned the adorable levels all the way up with this stunning Loungefly x Disney Marie Big Face Mini Faux Leather Backpack! Featuring one of Disneys most-loved characters, this might just be the most practical way to add a whole lot of Disney into your life. 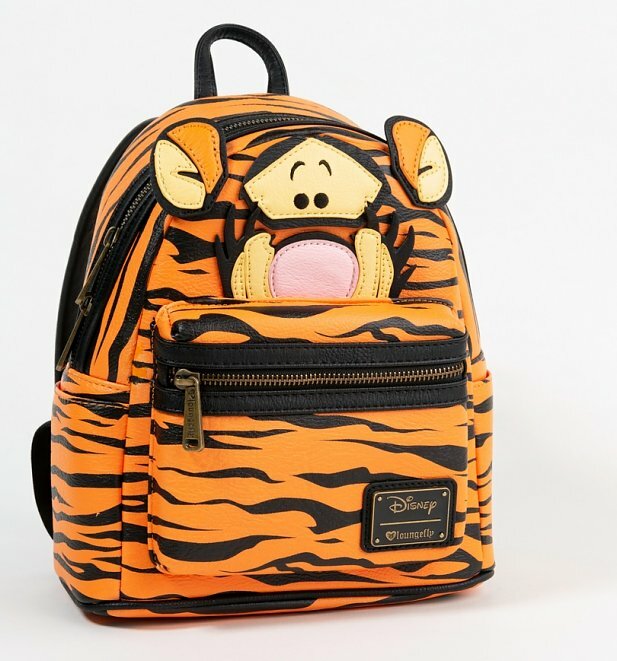 Packed with life, joy and always up for some fun, Tigger has been totally brought to life with this stunning Loungefly x Disney Tigger Mini Backpack. Great gift for the Disney fan in your life or an ideal day bag for your next trip for a Disney park. 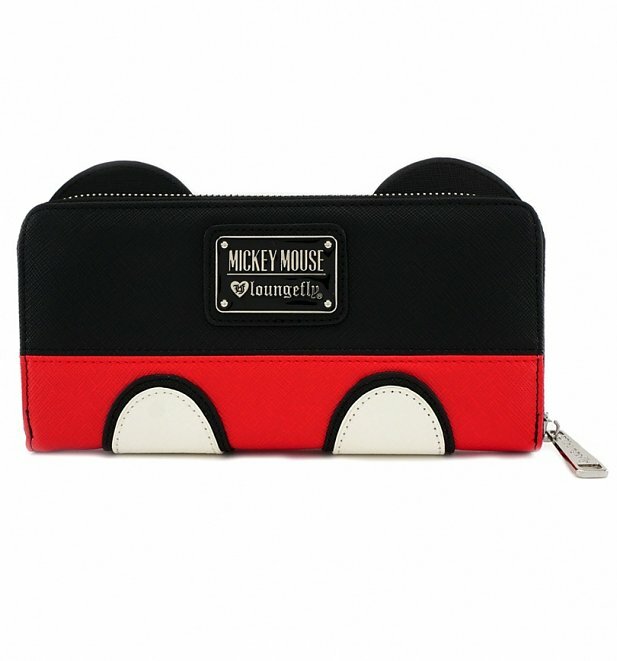 About as iconic as they get, this simple but super cute Loungefly x Disney Mickey Suit Wallet is such a great nod to one of the most-loved and instantly recognisable characters ever made, Mickey! For all these totally adorable Disney bags and so much more, check out our complete collection to find your perfect Loungefly bag or purse. See you there!